Already a favorite among many celebrities, Ma’mitons bags and sandals are eco-friendly and ethically made by artisans in Cameroon. Founded by Priscilla Njankou, Ma’mitons works with local artisans to create wearables from raffia leaves from tropical forests, and the proceeds from every bag sold help to feed a family for a month. Njankou, an American citizen with Cameroonian roots, launched the brand with the aim of connecting her culture to the rest of the world through fashion, crafting these natural yet stylish accessories using eco textiles. Talking about the materials used to create these items, Njankou described the abundance of natural resources in Cameroon. 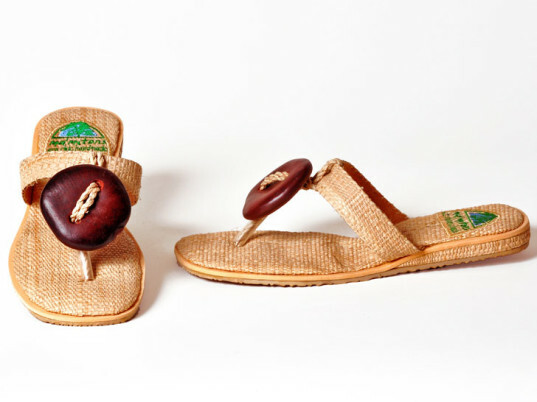 “Raffia comes from the leaves of the raffia palm trees,” she said, “and they grow naturally in the tropical forests.” This, she says, helps to protect the environment by not using toxic processes to make the items. “I want to do so much more while providing people with unique, beautiful, fashionable, handmade products that they cannot find anywhere else,” she said. All of Ma’mitons products are therefore made by talented artisans from the region, she says, who she works with directly and ensures are paid fairly. This enables them to provide for their families and improve their lives by changing their economic status. While response has been positive and the brand is going well, Njankou wants to lower overheads in order to bring prices down so Ma’miton’s bags and sandals can be more available to a wider consumer base. The brand is now appealing for funds through a campaign at IndieGoGo to be able to raise money to expand the handbag line and range of accessories. For more information take a look at the official facebook page and Indiegogo campaign site. Already a favorite among many celebrities, Ma�mitons bags and sandals are eco-friendly and ethically made by artisans in Cameroon. 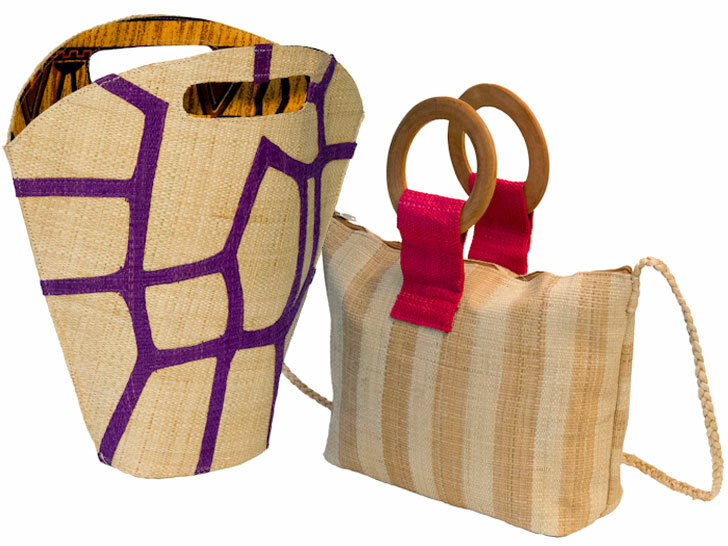 Founded by Priscilla Njankou, Ma�mitons works with local artisans to create wearables from raffia leaves from tropical forests, and the proceeds from every bag sold help to feed a family for a month. Njankou, an American citizen with Cameroonian roots, launched the brand with the aim of connecting her culture to the rest of the world through fashion, crafting these natural yet stylish accessories using eco textiles.